MIAMI Lennar's (LEN) third-quarter net income rose 39 percent as its home deliveries and new orders continued to climb. Its results beat Wall Street's expectations, and its shares rose in premarket trading. The Miami-based company sells homes for entry level and move-up buyers as well as retirees. Homebuilders are a bellwether for the housing market and the economy. While new homes represent less than one-fifth of the total housing market, construction of houses has a major impact on the economy. CEO Stuart Miller said in a statement on Tuesday that Lennar Corp. is seeing demand being driven by a limited supply of new homes built over the past five years. "While there may be bumps along the road that may impact the short-term pace of the recovery, the long-term outlook for our business remains extremely bright," he said. Lennar reported net income of $120.7 million, or 54 cents per share, for the three months ended Aug. 31. A year earlier it earned $87.1 million, or 40 cents per share. Analysts polled by FactSet expected earnings of 45 cents per share. 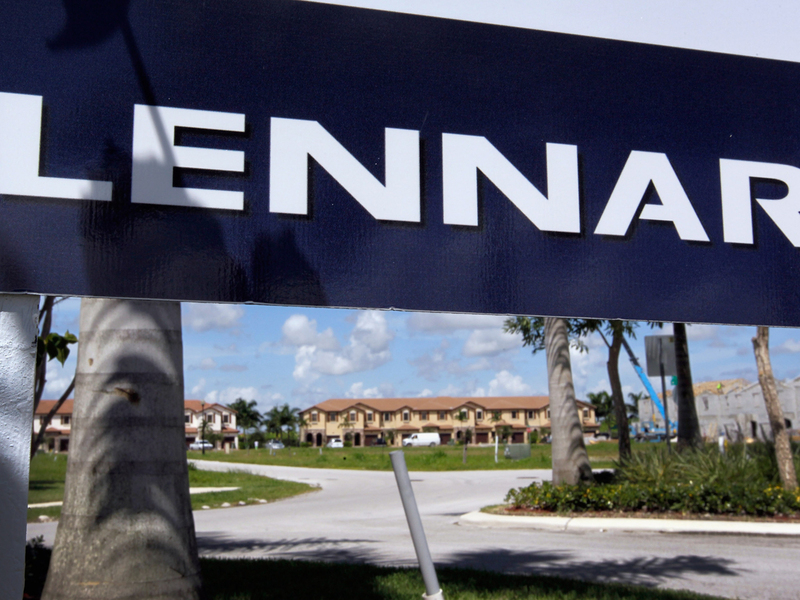 Lennar's revenue climbed 46 percent to $1.6 billion from $1.1 billion in the quarter. Wall Street was looking for $1.55 billion in revenue. Home deliveries increased 37 percent to 4,990 homes, while new orders rose 14 percent to 4,785 homes. The average sales price increased 16 percent. Backlog, an indicator of potential future revenue, climbed 32 percent to 5,958 homes. Lennar shares rose 17 cents to $34.71 in premarket trading about two hours before the market open.